Please note this unit requires a 240/120 volt 350 watt (minimum) transformer.A must-.. Create flares in sheet metal up to 1/8" (3.175mm) thick using the Eastwood Dimple Dies.Includes both.. The Rockwood 3/8” NPT Air Filter/Regulator includes a high-capacity, drainable Coalescing Filter and..
Cut-Off Wheels - Cut through damaged metal and rods up to 3/4" thick. Wheels are 3" diameter with.. 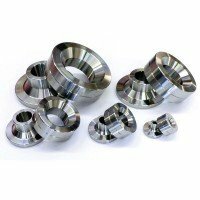 Shape and deburr quickly and accurately with Carbide Burrs These 8 carbide.. Pack of 25 600 Grit Hook & Loop 3" sanding discs. ..